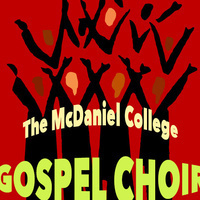 McDaniel College’s Department of Music will present the McDaniel College Gospel Choir’s fall concert Sunday, December 9 at 3:00 p.m. The concert will take place in WMC Alumni Hall. The Gospel Choir consists of McDaniel students Princess Addo-Oboubi, Steve Alford, Linda Beall, Colleen Clark, Jordan Davis, Matthew Feller, Jed Fowler, Garrett Gregoire, Veronica Johns, Rhema Jones, Becca MacDonald, Emily McQuarrie, Michael Osei, Matthew Scott, Thea Stearns, Mikaela Turek, Jen Willard, and Jewoine Wilson. Others in the choir are community members Kay Betz, Yvonne Hazen, and Katie Lautar. The choir is accompanied by Alice Dorsey, piano, Chris James, guitar, Shawn Dennison, bass, and McDaniel music faculty members Glenn Caldwell, saxophone, and Jon Seligman, drums.